Google has announced its new innovative asus branded tablet known as nexus 7. Its no surprise that Google is ogling for newer technologies. Nexus 7 is a shear example of that. Nexus 7 features a 7 inch, IPS screen with 1280 x 800 pixels resolution. It is the first tablet to enter the 7 inch house with a processor of 1.3 Ghz Nvidia Tegra 3 quad-core followed by a GPU of 12 core. Specifications like micro USB port, RAM of 1GB, common front camera of 1.3 megapixels followed by sensors like gyroscope, GPS, accelerometer, microphone and compatible Wi-Fi adds more beauty to the device. This amazing device weighs 0.7 pounds with thickness of 10.45 mm. well textured with grippy backside. The IPS screen provides its viewers a wide viewing angle even wider than other android tablets. Graphic quality is even sharper than other tablets in the market. 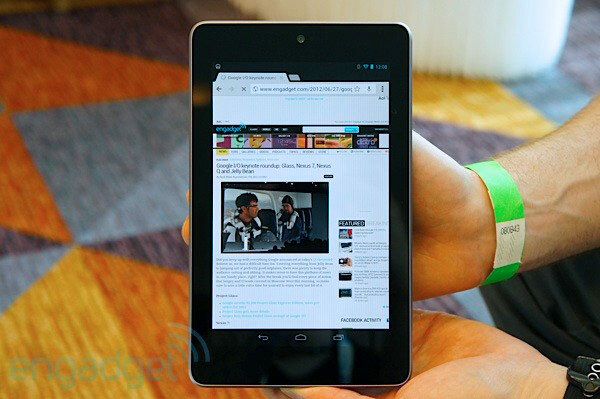 You will be amazed to know nexus 7 is the first tablet to run on the newest powerful android 4.1 OS known as jelly bean. This operating system is expected to provide soft typing without any mistake. There is also a siri like voice assistant associated with android 4.1. Processing is so fast as it holds quad core tegra 3 which is having 12 cores GPU. It is capable of showing 1080 p HD movies. It makes you feel good when you can play HD video for 9 consecutive hours. No external memory card slot. “So far so good” is the kind of impression is has earned. According to its look, screen size, display, processing ability, operating system all are far ahead of the other tablets. Spending some dollars on a brilliant engineering is not a bad idea. It has 200% more value than our money. Google rocks ones again with its mesmerizing product “the Nexus 7 quad core tablet”. Will Amazing Alex Surpass Angry Birds?